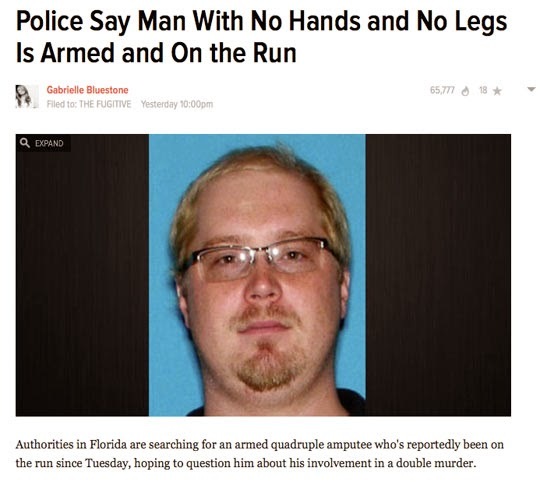 You might think that this is a case of extreme incompetence by authorities (after all, how can a quadruple amputee be armed and on the run? ), but what this really is is an example of how you should never underestimate anyone. by kurt wismer in WTF?